Link Posted: Sun Mar 22, 2015 10:35 am Post subject: Reserved for Norwegians. Link Posted: Sun Mar 22, 2015 6:31 pm Post subject: Re: JVC X500-700-900 calibration. Im curious about these new models, and how they perform with calibration, with the internal CMS, and what effect the DI have on calibration measurements. You are a funny guy stridsvognen! Why would any digital idiot (like you called me in another tread) post something here to a guy that is so hostile to anything digital. But as I am an honest guy I will post the calibration report of my X500. I dont have the reports (did not get it) when we tested the DI, but it is as I told you earlier, trust me or not is up to you. I will try to get it the next time I get it calibrated as I will probarbly do it soon as I am buying a new screen. Link Posted: Sun Mar 22, 2015 7:38 pm Post subject: Re: JVC X500-700-900 calibration. And with Didderns permition I put out his report also, yes I have his report. Since my sceen is not complete D65 neutral (Adeo has a red push) and Diddern is more neutral (dnp Supernova)mine looks a bit worse in the report due to that, the final result is very good on both. Here of my first X500, only calibrated with the internal cms, I changed it after 250 hours for a better sample. I BORROW THIS HOGPILOT : There are 10 types of people in the world, those who understand binary and those who don't. Read back on the forum, and summ up what was written about calibrating by eye. The hole point in a fast by eye calibration is when playing / modding, or setting up a CRT to get a fast look at how things work, so you dont need to dig out the meter and spend time measuring. Its been stated a few times by me that calibrating a Digital projector by eye is almost impossible as there is no logic to the gamma curve, opposit to the CRT gamma response. and most need to be set for each 5 or 10%. Also the primary and secondary colors mostly needs adjustment. Witch is fixed on a CRT, and cant be adjusted. So your continued rambling about eye calibration wont get you anywhere. But as seen in just about every thread your active in on this forum your just here to promote your hate to CRT, and the people using them. 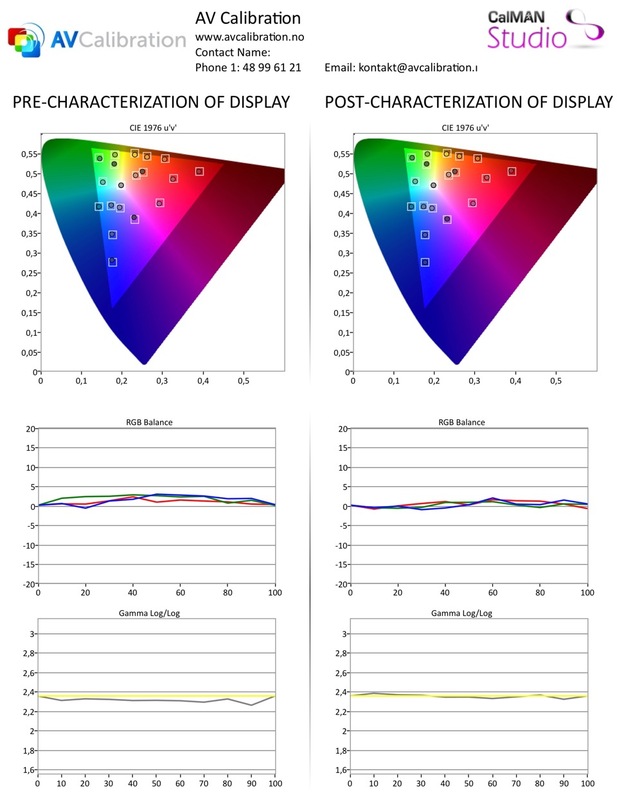 So you can calibrate gamma/grayscale and primary colors by eye because of the extreme linearity of CRT? And it has never been mentioned that this is just a fast calibration when playing/modding, and I wonder how do you play with your CRT?? What is your reference when doing these by eye calibration for playing/modding? And from where do you draw the conclution that Diddern hate all CRT users?? Is this a CRT VS digital thread.? Or a CRT by eye calibration thread, If you are in doubt, try ask the thread starter. I just followed up on your last post, but what can I expect from you. If you answered any questions I would be very surprised. I actually put out some calibration reports her like you asked, but you don´t seem to care about that as you probarbly think they are fake or maby even worse digital. You have not provided any fact what so ever in this tread or the Geisemann vs VW1000 tread, and when we ask for it you only ask us to search it up. I provided you with some calibration facts/reports here, but you don´t seem to care. And please grow uo stridsvognen. You are so mature stridsvognen. Link Posted: Wed Mar 25, 2015 8:53 am Post subject: Re: JVC X500-700-900 calibration. Will it be better with eecolour than lumagen? Link Posted: Wed Mar 25, 2015 9:23 pm Post subject: Re: JVC X500-700-900 calibration. Yes it will because the CMS in the eeColor is much better and the Lumagen Radience has problems with chroma resolution and colors near black. Link Posted: Mon Mar 30, 2015 4:59 pm Post subject: Re: JVC X500-700-900 calibration.